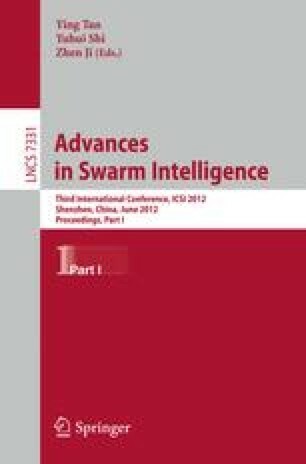 The exponential inertia weight is proposed in this work aiming to improve the search quality of Particle Swarm Optimization (PSO) algorithm. This idea is based on the adaptive crossover rate used in Differential Evolution (DE) algorithm. The same formula is adopted and applied to inertia weight, w. We further investigate the characteristics of the adaptive w graphically and careful analysis showed that there exists two important parameters in the equation for adaptive w; one acting as the local attractor and the other as the global attractor. The 23 benchmark problems are adopted as test bed in this study; consisting of both high and low dimensional problems. Simulation results showed that the proposed method achieved significant improvement compared to the linearly decreasing method technique that is used widely in literature.